“Finally, and unexpectedly pleasingly, two aural presentations remind us that the environment is far more than just what we see: to open our ears and engage all our senses. While Magz Hall explores the idea of dreams, inviting visitors into a shed filled with the haunting sounds of people recalling some of their strangest subconscious moments, Matt Parker’s field recordings fill the space with both natural and artificial sounds from a supposedly ‘protected’ landscape in Spain – a precursor to his workshop on 3 March around London’s Olympic Park which also forms part of the #ArtForTheEnvironment programme. Overall, it’s a diverse and stimulating exhibition, densely packed with numerous interactive artworks, and a welcome introduction to the environmental visions of multiple emerging artists stepping out onto centre stage. Tired of the notion that the ideal radio voice is a deep, authoritative male voice, radio enthusiast and artist Magz Hall channeled her frustration in Voicing Gender. The piece uses unisex baseball hats dyed in traditionally feminine colours to deliver pitch-changing voice exercises that are typically used by trans and non-binary people who want to sound more masculine or feminine. Apart from expressing her interest in how women change their voice for radio, the baseball caps also pay homage to 20th Century ‘radio hats’ which were marketed toward women in the same colours. Nine artists previously supported by Jerwood Charitable Foundation have been shortlisted for The British Composer Awards, final results to be announced on Tuesday 6 December. Sound and radio artist Magz Hall who is currently exhibiting work as part of Jerwood Open Forest (at Jerwood Space until 11 December) has been shortlisted for The British Composer Awards. She joins eight other friends and alumni of Jerwood Charitable Foundation, including Mark Bowden, a British composer of chamber, orchestral and vocal music. We supported Mark with a Small Grant in 2015 to undertake a research onsite at CERN, the site of the Hadron Collider, for a new oratorio commissioned by BBC National Orchestra of Wales. “In the case of Magz Hall, the audience is a key element in the very feeding of content into her project. With a long history of experience in sound and radio arts, Hall’s idea was partly inspired by American forests and the fact that in the 1920’s some members of the army used tall trees as antennas. The artist is actually going to use the trees to send out a radio signal that will contain visitors’ recorded dreams. Building up from a smaller-scale work titled Tree Radio, which helped formulate the idea for this major proposal titled Whispering Trees, the project was inspired by her own moments of contemplation whilst visiting a forest. “I like this idea of hidden unconsciousness. Specially if you go on your own, you’re very concentrated when you’re in a place like that. It has a dreamlike quality linking with my own experience of going to the forests and wanting to participate through work that is fitting for the location”, says Magz Hall. For Whispering Trees, different frequencies are going to be developed for each of the four types of dreams Hall is going to record: children’s dreams, night dreams, dreams of the future and those related to fire, as a historical link to the radio frequencies used until the eighties by the Forestry Commission for fire alerts. India Windsor-Clive reports on an initiative to take art into Britain’s forests. Forests are places of recreation and respite, deep reflection and enchantment. They are time-woven tapestries of layered histories, myths and legends. Witness to bygone gatherings and happenings; home to an abundance of plants and wildlife. They have provided materials and inspiration for artists and craftspeople throughout the ages. Now, in an exciting initiative, forests are being explored as sites for artistic experience. Jerwood Open Forest – a joint initiative by the Jerwood Charitable Foundation and Forestry Commission England, supported by Arts Council England – invites early-career artists to submit “bold and broad-thinking” proposals for work to be realised anywhere in England’s publicly owned forests. There is no brief. Submissions can be of any discipline, in any medium, temporary or permanent. The first edition of Jerwood Open Forest took place in 2014, with two commissions awarded. The first went to Ruth Jarman and Joe Gerhardt, who work together under the name Semiconductor. 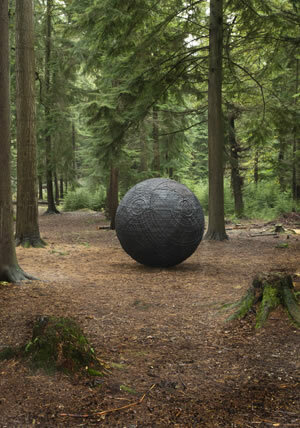 Semiconductor’s permanent spherical public sculpture Cosmos sits in Alice Holt Forest, Surrey like a fallen meteorite. Its make-up and surface texture are based on a year’s worth of measurements such as wind, water vapour and the take-up and loss of carbon dioxide from trees, data collected at the top of a 28-metre flux tower. Semiconductor recontexualised this scientific data, making it tangible in sculptural form. The other 2014 commission winners, Chris Watson, a composer, and Iain Pate, a producer, staged an interdisciplinary sound installation of a raven roost entitled Hrafn: Conversations with Odin , in Kielder Water & Forest Park, Northumberland, drawing on Norse mythology. Rarely experienced now, the sound of 2,000 birds returning to roost at twilight had a remarkable effect on those who experienced it. Following the success of the first commissions, this year sees a second group of artists completing their supported six-month research and development period. These five artists, Rebecca Beinart, Magz Hall, Keith Harrison, David Rickard and David Turley, have been developing their commission proposals, testing feasibility and exploring potential sites, to culminate in a group exhibition at Jerwood Visual Arts in London in November and December this year. During the exhibition one artist will be selected to receive a £30,000 commission to realise her or his proposal. 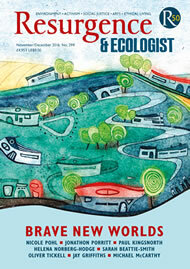 Forests make up 13% of Britain’s land area today. After demands on timber during the first world war left Britain’s forests depleted, the Forestry Commission was founded in 1919 as a commercial endeavour to rebuild and maintain strategic wood resources. Today, although it retains a commercial forestry wing, the commission fills the role of preserving woodland for people’s enjoyment, biodiversity and ecology. This history interests artist Rebecca Beinart, who considers the contemporary framing of the Forestry Commission, its role as caretaker, and forests as constructed environments. Beinart has been researching narratives that relate to the specific sites she plans to work with, such as Leigh Woods outside Bristol – home to the whitebeam species endemic to the Avon Gorge – and the work being done in response to climate change and tree disease. From interviewing people involved in the Newbury bypass protests in the 1990s to researching Victorian plant hunters, Beinart is collecting stories to thread into a script for a proposed large-scale live work to take place in two forest locations. She envisages using between 30 and 50 narrators to retell these anecdotes. Sound and radio artist Magz Hall is meanwhile developing “an interactive trail of radio transmissions through the forest, playfully enabling trees to whisper to each other visitors’ dreams”. For her Jerwood Open Forest proposal Whispering Trees , she plans to set up recording sessions in a bird-hide-like studio in the forest with the Friends of Bedgebury Pinetum and members of the public, to record their secrets and dreams. The audience can then tune into these dreams ‘broadcast’ by different trees, using radios collected on-site. 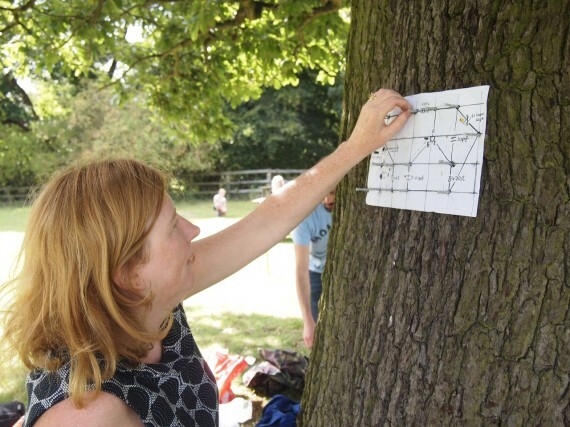 Hall’s proposal comes out of an earlier project for an Art for the Environment residency at Yorkshire Sculpture Park, Tree Radio , for which she transformed an oak tree into a micro radio station. She embedded a transmitter into the tree to relay the tree’s reactions to light, motion and moisture via sensors and probes in the tree, “so the tree was broadcasting its own content”. Also selected for Jerwood Open Forest is Keith Harrison, who explores forests as places of recreation at the edge of post-industrial urban conurbations. He is proposing a large-scale performative sculpture, entitled Joy Ride, near Cannock Chase, Staffordshire. Finally, David Turley’s proposal centres on a Men of the Trees Forestry Diary from 1947, which documents the daily life of a man planting trees in Orlestone Forest outside Ashford, Kent. Turley explores the everyday in relation to the monumental, the idea of a daily task impacting the future, and the “understanding of a tree as having life beyond the scale of our own”. The work being created for Jerwood Open Forest exemplifies how artists are engaging with the environment and incorporating contemporary dialogues with Nature into their work in the public realm. Each proposal holds the possibility of shifting people’s understanding, considering the experience of place or the layering of multiple histories and the capacity of history to touch us. As well as challenging artistic practice and giving artists the opportunity to work in new, different ways, it sees forests lending themselves to artistic experience and the potential to foster a deeper connection with the environment. Jerwood Open Forest exhibition runs from 2 November to 11 December at Jerwood Space, London. Created as a unique opportunity to open up the Public Forest Estate, Jerwood Open Forest is a charitable programme that creates commissioning projects for artists working in a forestry context. Five artists have been selected to research and develop radical proposals for a major environmental art piece. Based on their projects, one of these artists will be selected to realise a £30,000 commission in their chosen Forestry Commission England location. Pictured above is Cosmos by artist duo Semiconductor, one of two commissions realised through the 2014 Jerwood Open Forest initiative. Also participating in this year’s collaboration is Magz Hall, a sound and radio artist whose prospective installation aims to add a playful element to the landscape. Hall has planned to create an interactive trail of radio transmissions. The artist will invite visitors to record their own secret messages into radio hardware that is disguised within a tree, allowing interaction for the public. For the exhibition, Magz will be showing a constructed dreamspace where the audience will be transported to another landscape through intricately recalled soundscapes. The five artists have developed bold, innovative projects that explore the potential of forests as art space – the upcoming exhibition at Jerwood Space, London will see these projects transposed within a gallery context – opening the mind and sparking conversation about how contemporary visual artists engage with the current natural environment. ABC Australia, Friday 14 October 2016 Radio Yaks: A Soundproof series in which eminent producers and sonic luminaries from around the world share audio they’re crazy about, and tell us why.http://www.abc.net.au/radionational/programs/soundproof/october-14/7898434Magz Hall is a sound and radio artist, teacher, and co-founder of Radio Arts. Her work explores the artistic potential of radio and it’s use beyond conventional settings. Taking as her point of departure a hypothetical future characterised by vacant airwaves, Magz Hall’s work re-imagines radio’s utopian potential. Sound and radio artist Magz Hall will develop an interactive trail of radio transmissions through the forest, playfully enabling trees to whisper to each other, and re-engaging with a sense of technological enchantment so intrinsic to the early radio experiments that make up much of her research interests. She envisages members of the public recording their own secrets and dreams into simple radio hardware disguised within a tree. Magz is a senior lecturer at Canterbury Christ Church University UK, and a founder of London’s arts radio station Resonance FM. Her audio work has been exhibited in the Yorkshire Sculpture Park, the British Museum, Tate Britain, and internationally. In 2015 she completed her PhD at CRISAP (Creative Research into Sound Arts Practice), University of the Arts London. Shortlisted artists to develop proposals for a major new £30,000 commission, with winner to be announced at the end of 2016. Five artists have been selected to develop proposals for the £30,000 Jerwood Open Forest commission. Rebecca Beinart, Magz Hall, Keith Harrison, David Rickard and David Turley will each receive a £2,000 research and development fee to expand on the concept of their proposals, test feasibility and explore potential sites within England’s Public Forest Estate. They will also take part in a group exhibition in November 2016 at Jerwood Space, London, plus benefit from workshops and advisory sessions alongside one-to-one mentoring sessions. The 2016 selection panel included: Katherine Clarke, artist and founding partner of muf architecture/art; Neville Gabie, artist; Shonagh Manson, director, Jerwood Charitable Foundation; Hayley Skipper, national arts development programme manager, Forestry Commission England; and Dr Joy Sleeman writer, curator and lecturer. Commenting on the quality of the shortlist, Sleeman said: “The range of imaginative approaches to forest environments represented by the five shortlisted artists is indicative of the rich inspiration such places inspire. The artists’ proposals are wide ranging. Rebecca Beinart will explore the relationship between care and loss through live art that brings together a collection of stories about lost trees. Sound and radio artist Magz Hall will develop an interactive trail of radio transmissions through the forest, while Keith Harrison has proposed a performative sculpture bringing together industrial forces within the context of the forest. David Rickard’s proposal, Returnings, is a vast forest installation built with timber collected from across the UK, exploring the cyclical journey of the forests’ trees. David Turley’s proposal centres on a ‘Men of the Trees Forestry Diary’ from 1947, unearthed at an auction in Australia, which documents the daily life of a man planting trees in Orlestone Forest outside Ashford, Kent. Jerwood Open Forest is open to UK artists who are within 15 years of beginning their practice. The first edition in 2013 saw two commissions totalling £60,000awarded to Semiconductor duo Ruth Jarman and Joe Gerhardt, and Chris Watson collaborating with producer Iain Pate. Happy New Year and welcome to 2016! The Academic Series for Radio Survivor has been a little quiet over the past few months, but we have a lot of exciting posts planned for this academic term. We’re happy to be back with a two-part interview with Dr. Magz Hall, who is a sound and radio artist and a Senior Radio Lecturer at Canterbury Christ Church University. In the first part of this two-part interview, Dr. Hall explains how her research is closely connected to a variety of experimental and artistic projects in the field of radio art. By engaging with radio as a flexible, fluid, and accessible medium, Dr. Hall highlights the ways in which radio can engage with communities and inspire cutting-edge research and arts-based practices. Radio Survivor: Your doctoral research emphasizes the use of radio art in order to help us make sense of radio broadcasting in the context of new media technology. First, how would you describe radio art to someone who might not be familiar with the term or the practice? Radio Survivor: A number of radio scholars are currently engaged with discussions of the changing nature of radio in the digital age. The fact that you’ve chosen to explore these issues through the lens of radio art is fascinating. What role does radio art play in the digital age and how can it help us to understand radio in this context? Magz Hall: Radio is a very resilient medium which has constantly moved platforms. Radio artists have also embraced radio in all its receptive forms from AM to FM and online and by doing so, radio art as a practice re-configures and expands what is essentially an experimental art form. 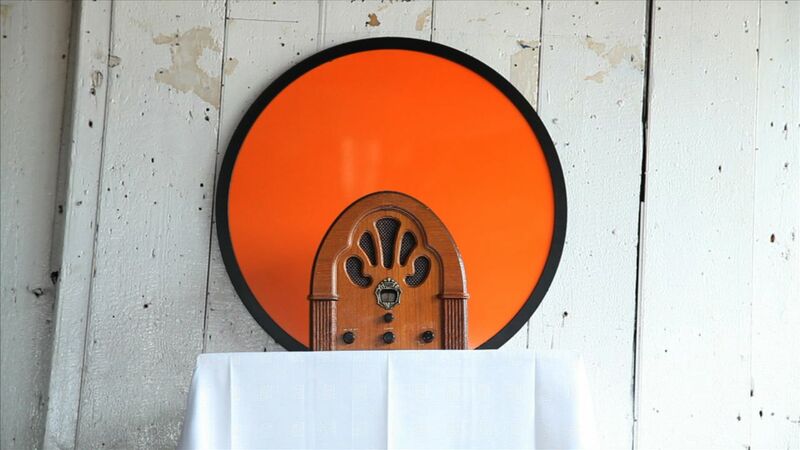 Radio art is constantly evolving and reflecting the myriad notions of radio and explores the form. These days, almost all radio is digitally recorded and edited, so the heart of the production form is digital, albeit one that is still received by the majority of people via analogue means (in the UK interestingly). I am very interested in expanded radio practice and have produced works which cross the lines between analogue and digital reception. My Switch Off project imagined who would be squatting analogue FM in the future. I produced ten works all of which were a form of post digital practice, where I embraced new and old media. Radio Jam invited people to play analogue radios to do a live jam across the internet using radio as a performance, whereas Spiritual Radio asked people to hear the book as its own radio station (more on this below). Radio Survivor: You’ve also been an advocate for community radio and its ability to use radio art in order to explore the limits of the medium. 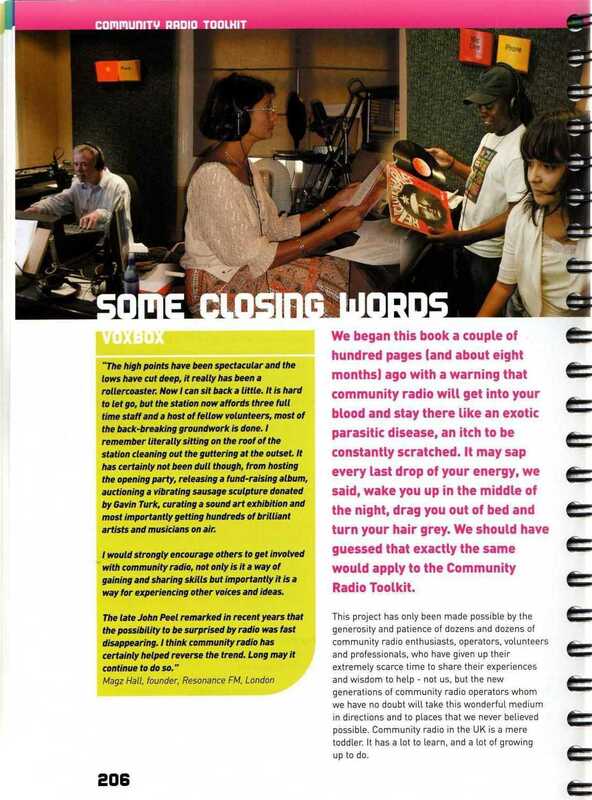 How does radio art advocate for the importance of community radio today? 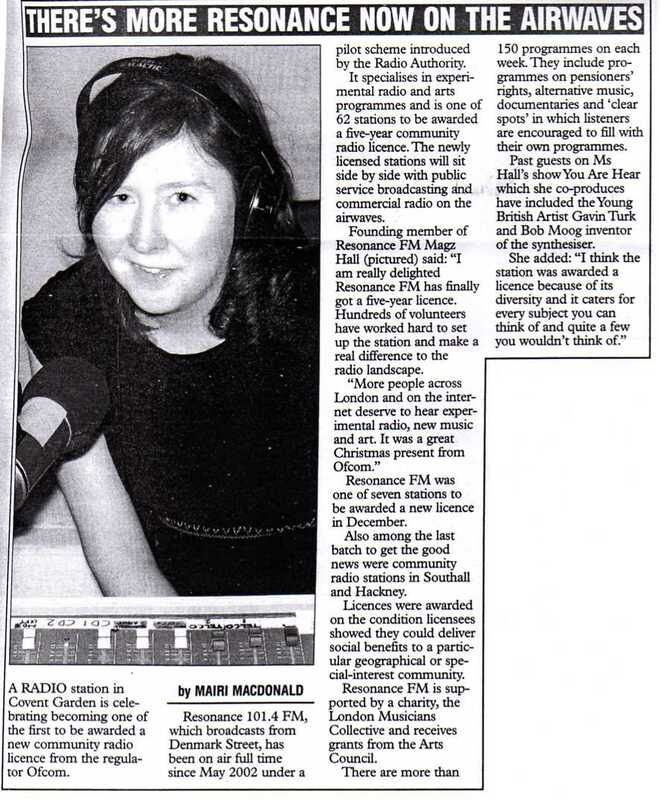 Magz Hall: Community arts radio is something I have been passionate about since the late 1990s. I was inspired by community stations in Canada, USA, and Australia, which provided space for artists to experiment and share and make work with and for specific communities. 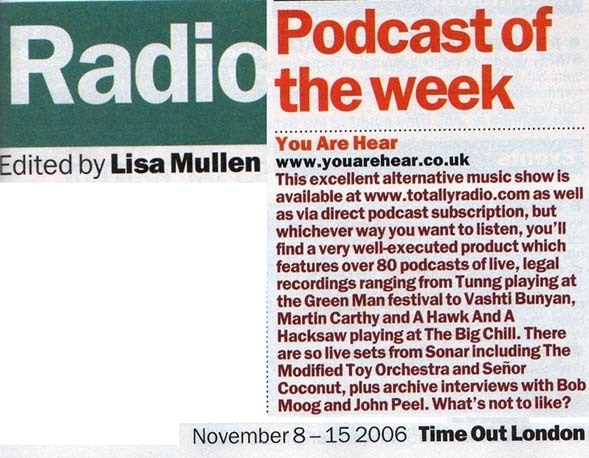 Such projects led the way for UK community arts stations Resonance FM, which I helped set up, and Soundart Radio, Hive Radio and Radio Reverb. In the UK there is still a distinct lack of arts experimentation on the majority of the 200-odd non-arts-based community stations, something Tamar Millen, via the Community Media Association, was trying to address when she ran the Modulate commissions to bring UK artists and arts organizations together with community stations to make new work. I have also been running Radio Arts. It’s an artist-led arts group that promotes radio arts activity [editor: see our 2013 piece about some Radio Arts projects] . We commissioned fifteen artists to produce Dreamlands, a project that involves new radio art works funded by the Arts Council England and Kent County Council. These works were aired by twelve partner arts stations, including a mix of community, public, and online stations. (*See the list of Dreamlands commissioned artists and stations that broadcast their works below). 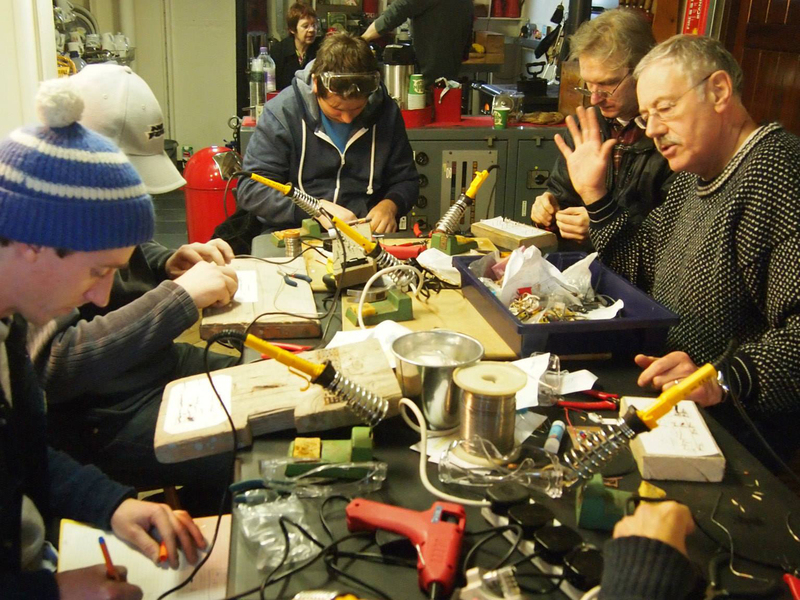 Participants of our hands-on radio arts workshops, in all areas of radio art practice, have gone on to become sound artists, set up their own stations, and run radio arts projects. So this has proven to be a very successful way of engaging people and communities. For instance, Phonic FM in Exeter commissioned artists to make works as part of a Rugby Stories series funded by the local council. 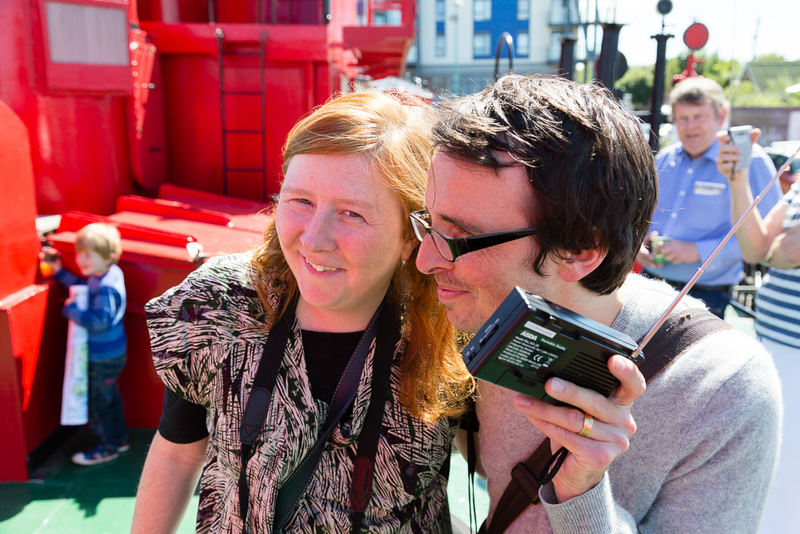 The project came out after its station manager attended one of our radio arts workshops at the Turner Contemporary, which were set up to engage the wider public in radio arts. Another workshop, Reclaim the Waves, worked with participants who were over the age of 60 at The Tate Britain this year. The workshop resulted in a month long participatory radio art installation, and one of the participants was commissioned to make new sound work about Thames Water as a result of this. So, sharing skills with the public and specific communities has been very fruitful. Radio Survivor: Your Spiritual Radio project is an excellent example of research creation, in which research is combined with practice. You have explained the project as a “book-radio,” one that must be accessed by finding the right frequency. When the listener discovers the right frequency, she or he will hear Spiritual Radio, a book published in 1925 which explains Archbishop FH du Vernet’s vision of radio technology. What drew you to this particular work and how does the physicality of the book work its way into your project? Radio Mind was a work that imagines religious radio. It connects a powerful utopian notion, potentiality evoked by reading between these two texts, both of which address radio as an emergent technology and retain uncanny parallels despite their radically divergent perspectives. Du Vernet’s writing on the telepathic power of radio was a point of departure from which to examine how religious imaginary has informed popular perceptions of emergent technology. For the Switch Off series of works, I wanted to move away from just hearing the installations via headphones or speakers; all the works are heard via radios. Spiritual Radio was commissioned for a project called unbinding the book, which allowed me to re-imagine what a book could be. In this case, I had the book hand-bound and I made it into a transmitter by hammering nails into the book, so I could build a transmitter and it could transmit the words. The book is a very tactile object which you want to touch, but can’t! You have to listen via a radio. I liked the playfulness of that. It was also a kind of literal death nail, or as the Timesdescribed it, a “hardback on life support.” I think that really sums up what the work was about; giving new life to the written form. *Dreamlands commissioned artists were: Arturas Bumsteinas (LITH), Joaquim Cofreces (Argentina), Iris Garelfs (GER), Anna Friz (CAN), Louise Harris (UK), Olivia Humphreys (UK), Esther Johnson (UK), Langham Research Centre (UK), GX Jupiter Larson (US), Michael McHugh (UK), Carlo Patrao (PORT), Mikey Weinkove (UK), Joaquim Cofreces (Argentina), Gregory Whitehead (USA), Genetic Moo (UK), Magz Hall (UK). Stations that broadcast Dreamlands: ABC National Radio Australia, RTE, BCB 106.5 (Bradford, UK), Phonic FM (Exeter, UK), Radio Reverb (UK), Radio Papesse (Italy), Sound Art Radio (Devon, UK), Resonance FM (London, UK), Borealis Festival (Norway), Radiophrenia 87.9 FM (CCA Gallery, Glasgow), Wave Farm WGXC 90.7 FM (US). AHRC Digital Transformations Research Fellow Professor Andrew Prescott was joined by Ben James and Philip Serfaty from Jotta Visual Arts Studio with Katrina Hopewell from Indie publishing platform Blurb and writer/curator Bronac Ferran. The conversation looked at new ways in which books and book making are being pushed and pulled by a resurgence in activity around online and offline publishing. Jotta and Blurb have collaborated to create Unbinding the Book, part of the recent London Artists Bookfair at the Whitechapel Gallery. For this exhibition, which tours to New York and San Francisco, nine artists and designers were commissioned to challenge preconceptions of who can be an author and what a book can be. Recently I’ve been following with interest the wide range of hands-on radio activities being lead by Radio Artsout of the United Kingdom. Next month, there will be another hands-on workshop for radio-o-philes. 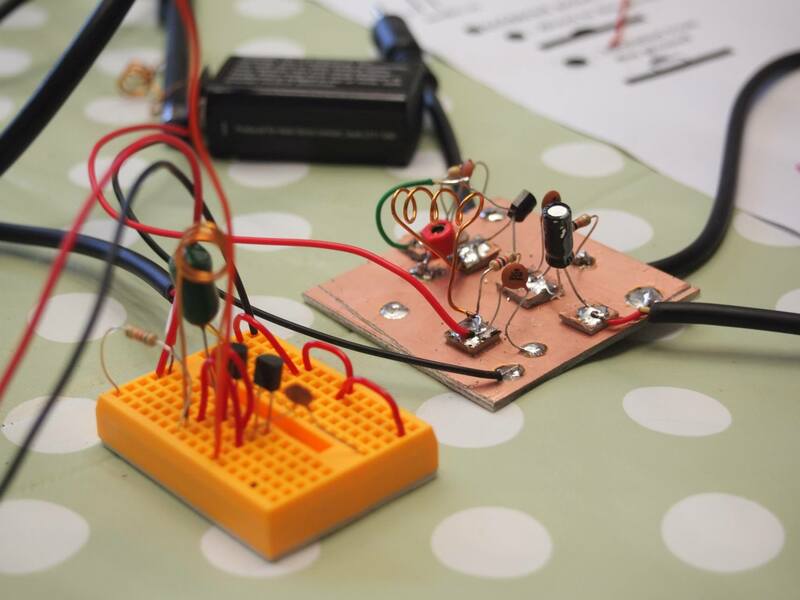 On January 25th, lucky attendees will get the chance to make their own FM transmitters at an event held at the Beaney in Canterbury, England. 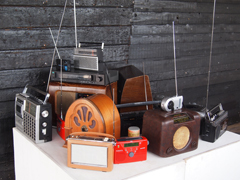 Additionally, Radio Arts just wrapped up an open call for recorded radio pieces for a future program and has been collecting old, working FM radios for an April, 2014 exhibit at the Beaney. More details on how to donate can be found on the Radio Arts website. Across the pond, Hall also has her radio-themed “Numbers” installation on view at the Canterbury Exchange exhibit at Illinois State University in Normal, Illinois through December 15th. It looks like a fascinatingpiece. Hall was able to get folks in Illinois to donate radios for use in this numbers station-themed installation. I wish I could be in both Illinois and England to take part in all of these radio events and exhibits, but for now will just live vicariously through the online accounts. SERMONS on the sand will be a feature of Viking Bay from today and until Tuesday.The content has been inspired by an obscure group of early 20th century Anglican clerics who shared an interest in telepathy, psychic research and psychology and used radio to preach the word of God. ETHER PREACHER: Lecturer, radio producer and audio artist Magz Hall will be testing telepathy and religious broadcasting in Broadstairs today until Tuesday. The Broadstairs broadcasts, from The Old Lookout at the harbour, will be both a spoof and serious doctoral research.Radio producer Magz Hall, a lecturer at Canterbury Christ Church University is an audio artist, with work exhibited around the world.She is now completing a PhD at University of the Arts London and the broadcasts, between 10am and 4pm, form part of her research.Radio Mind also promises to be entertaining and, perhaps, controversial. The idea came from Magz’s reading of academic papers and a book called Spiritual Radio from the early 1900s. She said: “It suggested the idea of radio mind, an experience shared together and illustrated today by some American religious stations where they ask people to touch the radio and pray together. It’s more persuasive than manipulative, but is very direct and links spiritual awareness and technology. Almost new age in fact.”Magz, who says she’s interested in creating sound and radio events outside conventional studio settings, will be closely watching people’s reaction to the broadcasts and the “missionaries” around the harbour.Listeners will only hear the transmission inside the accompanying exhibition in the gallery and immediately outside. Visit http://www.canterbury.ac. uk/events/event-details.asp?event Id>2827, or search Facebook or Twitter for Radio Mind for more information. Welcome to Resonance FM, London’s first non-profitmaking “art” radio station (on 104.4 or at http://www.resonancefm.com), supported by the likes of Gavin Turk and other luminaries. Its brief? To “provide a radical alternative to the universal formulas of mainstream broadcasting”. And it sure as hell does. “We’re offering people stuff they won’t hear anywhere else,” says presenter Magz Hall. Her weekly show, You Are Hear, features everyone from 73-year-old musical icon Lee Hazlewood to electro weirdoes Church Of Sonology and the Association of Autonomous Astronauts (the worldwide network of community-based groups dedicated to building their own space ships, obviously). If they do stop broadcasting it’ll be a crying shame. Where else can you hear an eight-hour special on Japanese experimental rockers The Boredoms? Or two hours featuring 50 cover versions of that old Brecht & Weill favourite Mack The Knife.